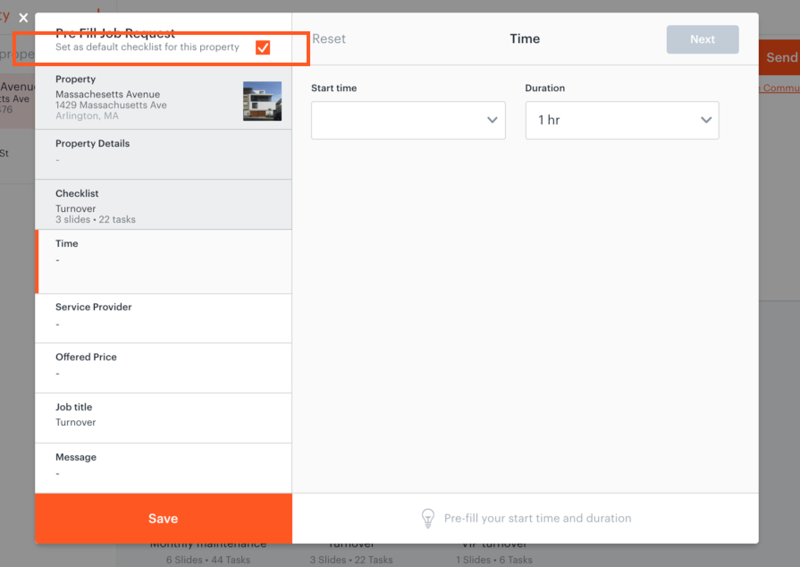 Set your default checklist for any property, saving you time for every job you schedule. Start from the Properties tab. 1. Start the property you want to set a default checklist for. 2. 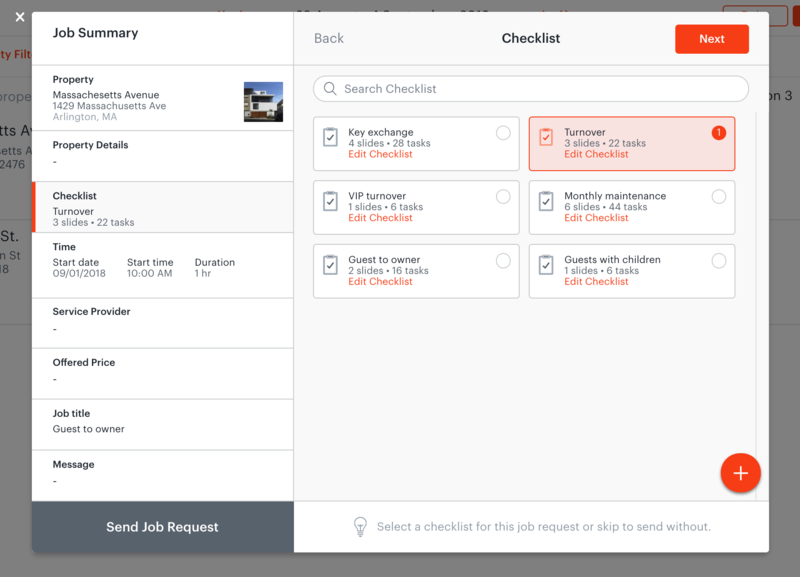 Select the Checklists tab. 3. Hover on the checklist you want to set as a default checklist, and click Click (•••). 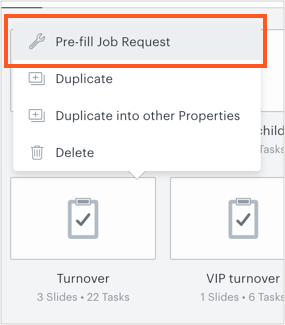 From the popover, select Pre-fill Job Request. 4. 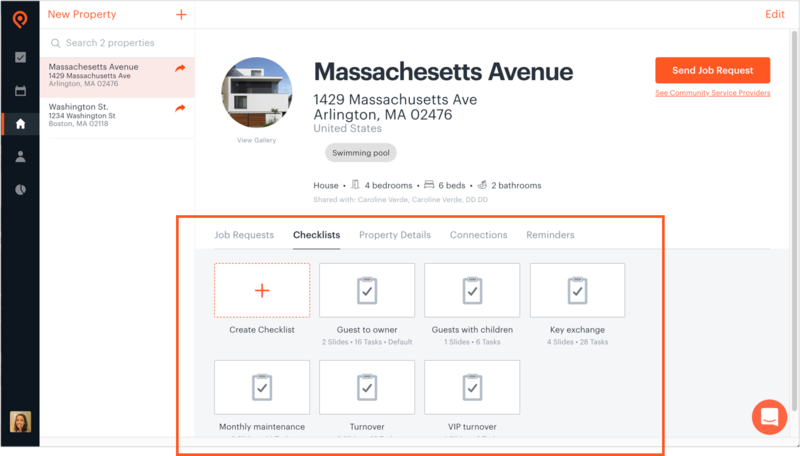 Tick the Set as default checklists for this property box and Save. Now, the checklist that you select is set as default checklist. Every time when you open a job request form, this checklist would be selected as default. 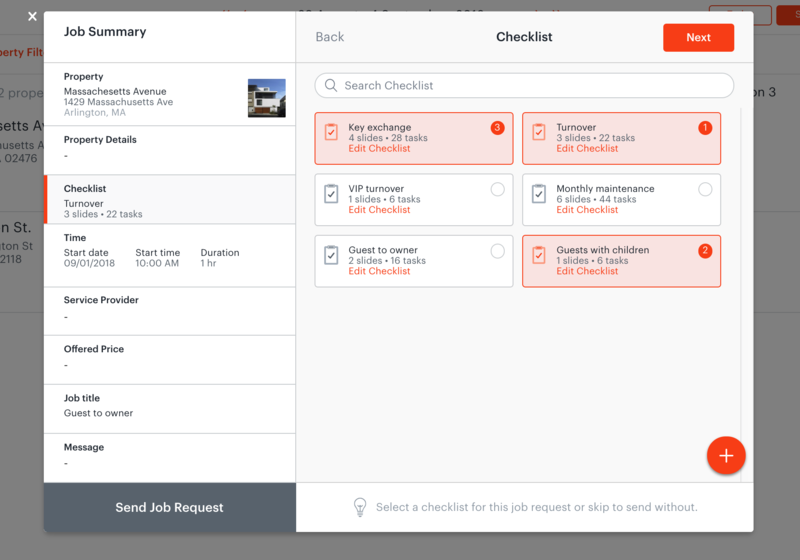 Note: You can still able to deselect the default checklist, or select other multiple checklists on your job request form.